We’re delighted that Future Imperfect, A Blade of Grass’ inaugural publication, is now being distributed by ARTBOOK/D.A.P. 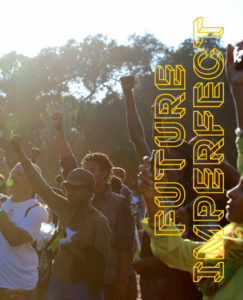 Framed by project participants and some of the discipline’s most important thinkers, Future Imperfect is an indispensable new resource from A Blade of Grass that weaves together accessible scholarship and leading examples of socially engaged art. Christian Viveros-Fauné considers social practice in a business context, Greg Sholette debates its progressive bona fides, Charles Esche ruminates on its utopian claims, and Grant Kester explores the tension between theory and practice. Essays by Deborah Fisher, Laura Raicovich, Jan Cohen-Cruz and Elizabeth Grady analyze the institutional context for the art, exploring the ways that it affects organizational structure, how its impact can be assessed, and curatorial perspectives. Participant voices play a key role, as “Reports from the Field” are featured for each of the artist projects, including those by Mel Chin, Brett Cook, Pablo Helguera, Fran Ilich, Norene Leddy & Liz Slagus, Jan Mun, and Jody Wood. Sections on each of these projects include an informative description and rich illustrations that open a window onto the artists’ practice for those who are new to their art, while revealing elements of their working process to old hands. Additional contributions by Ben Davis, Tom Finkelpearl, Rick Lowe, and Nato Thompson help to frame the discourse, interrogating questions like ethics and effectiveness. With a foreword by Shelley Frost Rubin.